Can your teeth cause you to have a heart attack? In the medical community, we believe heart attacks are caused by too much cholesterol. And there is a large body of evidence showing that reducing cholesterol reduces risk. If it’s just cholesterol, then the best treatment program is to get the cholesterol as low as possible. No need to worry about other risk factors. Yet there is also good evidence that other risk factors play an important role in heart disease. For years, periodontists have been telling us that periodontal disease is associated with an increased risk for heart attacks (1). 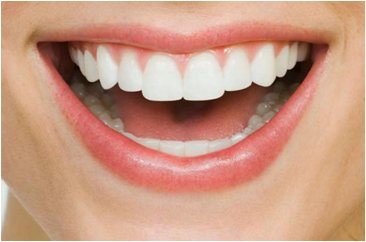 Most of these studies have been published in the dental and periodontal journals. Until recently, most doctors didn’t read the periodontal journals. Periodontists and dentists did. When bad germs (“unhealthy bacteria”) grow in the space between the gum and the teeth, inflammatory cells called Th17 cause even more severe inflammation in the gum (2). That severe inflammation increases the blood flow to the unhealthy gum tissues. So what happens to those germs when you chew your food? Because of the inflammation, its easy for those germs to get into the bloodstream. And once inside the bloodstream, some types of germs can get into the plaque inside the arteries. Once they get inside the plaque, germs activate white blood cells, increasing inflammation, which makes artery plaque worse, causing blockage to build up. Over time, blockage gets worse until vulnerable plaque ruptures. When it ruptures, it’s like getting a laceration on the inside surface of the artery. What does the blood do when there is a laceration? It clots. We call that a thrombus. In the heart arteries, when the thrombus grows, it suddenly blocks off the heart artery, causing a heart attack. When that same process happens in the brain arteries, the clot or thrombus breaks off and travels downstream, where it lodges in a brain artery, suddenly blocking the blood flow and causing a stroke. “A healthy smile with healthy teeth can help you have a healthy heart.” Take care of your teeth. Germs from the mouth can now be identified by their DNA. And those same germs growing in the mouth have been identified in the plaque which is scrapped out of the carotid arteries during a procedure called carotid artery endarterectomy (3). In order to recommend any form of therapy, physicians like to see evidence in the form of double blinded randomized controlled trials. These trials work best in scientific studies on pills, which lend themselves to placebo controls, so that neither the patients nor the doctors know who’s getting the real treatment. That’s what “double blinded” means. Those types of studies have been difficult to implement with surgical procedures, for example, because patients and doctors know who is and is not getting the treatment. A prospective randomized controlled trial to study the association between periodontal disease treatment and heart disease may never be done. .